Livestock by post? Advance for the hobby or worst idea ever? I’ve set this up as a dichotomous question for a reason, and that’s because I’ve yet to find anyone in the middle ground. So far I’m noticing two set camps. Retailers who do not (or currently can not) offer fish for postal retail find the idea abhorrent. Customers who’ve not tried posted fish find the procedure equally distasteful. Retailers who are in a position to send fish to faraway customers love the freedom and increased clientele it brings. Customers that use the services respond that they love having access to fish that are not available locally to them, and they lack the means to travel elsewhere. So what’s the argument for and against? From my own conversations with fishkeepers, the biggest argument against the sending of fish via courier seems to be steeped in a rather rose-tinted myth – more of that later. 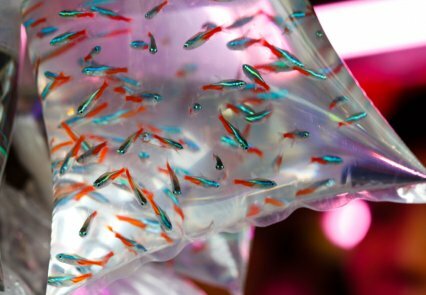 The subject received some national press back in April of this year, when two men in Kent were convicted in a case of animal cruelty for sending fish (as well as other exotic pets) in sealed bags inside parcels marked ‘fragile.’ One of the charges involved failing to provide reasonable care to the fish concerned. Ultimately, one man was banned from keeping aquatic animals for 10 years, as well as receiving a three year conditional discharge – let nobody say that fish welfare isn’t taken seriously in the UK, or that certain practices go unchallenged. So, first and foremost, let’s clear one point straight away. To purchase live fish (as a hobbyist) from abroad and have them posted is illegal. You’ll immediately be bypassing all manner of border controls regarding the import of livestock, and can ultimately end up in real trouble. Don’t do it. In the UK, however, there are only a few couriers in a position to move live fish, with Royal Mail not being one of them. They have a strict policy regarding the transport of any livestock, and bar some very well labeled insects, they’ll not touch packages with a pulse. Still, some couriers are happy to pick up that torch and run with it, and a quick look around the web will see suppliers of live fish proudly naming their couriers of choice. However, I’m digressing from my original point, and that’s the question of is it a good thing or a bad thing for the trade to transport fish from retailer to customer, across the length and breadth of the land? I think the greatest gripe I hear is one of welfare, and perhaps not unjustly so. To truss a fish up inside a bag, in turn inside a box, and then send it on its way for an overnight journey isn’t going to do the animal any favours. However, the moment we accept that this is a bad thing, then we’re into rocky territory. Fish in retailers’ stores don’t miraculously appear through wormholes, unscathed and unaware that they’ve even been moved. The fish in your store has come from somewhere very exotic, usually the other side of the planet, and it has had a bumpy journey along the way. 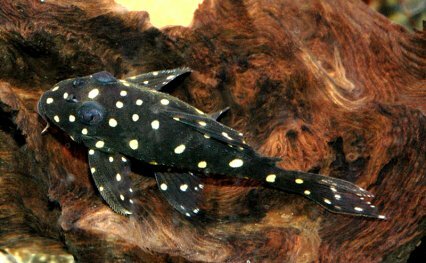 A postal retailer may be placing a dozen tetras or pair of catfish into a bag and sending them out to you at home. A Singaporian farm is usually placing hundreds into a larger bag, where the water quality can rapidly decline and it’s only an abundance of carbon dioxide and zeolite bundles stopping the fish from dying through ammonia poisoning en-route. I’ve been in retail long enough to see the packaging that some fish are transported in, and comparatively, what I’ve seen of an online retailer’s packaging, the two are sometimes very different worlds. That’s not to say that all online retailers are bagging and packaging fish correctly. Where there are good suppliers, so too shall there be morons. But the point I’m making is that to fall back on the argument that transporting fish is cruel as the sole reason for not selling them does whiff a little of hypocrisy, unless a store is doing 100% in-house breeding and not even buying fish from a wholesaler – which nobody to my knowledge is. I for one fully appreciate the stance that just because the fish have already been subjected to some rigours of transport, then it doesn’t follow that they can then justifiably be sent out on another jaunt. My angle is that if you felt that strongly about it, then you’d not be importing in the first place. However, there is another argument straight away, and this one does carry a lot more weight. If I buy a fish online, I can’t see it in the flesh. Unless I know and trust my supplier like a best friend on a booze-filled night on the town, then I’m playing a little Russian roulette with the fish. I have to trust his or her descriptions of size, markings, even species. I can’t check for disease either. I could end up with a package more fungus than fish, which I could have easily avoided had I had the gall to inspect the fish in person before committing to it. Shame on the retailer, for sure, but shame on me too for not inspecting prior to buying. There are also those out of control elements. Packages can get lost in transit. Shipments can get lost, dropped and broken. I’m not sure where the cut off point is, but as I see it, even one package of fish disappeared into the abyssal limbo of missing post is one package of fish too many. I do like accountability when it comes to livestock. However, has this even happened? I don’t know. And the reason I don’t know is because the feedback I get from folks who get fish posted to them is that everything arrived safe and sound, and that nothing has vanished along the line so far. I’m sure there are people who’ve had an opposite experience of this, and I’m interested in hearing from them. I’ve got a very restricted audience so far and have only heard good things. And from my perspective, there are many fish that I’ve seen online that retailers nearby to me simply cannot get hold of. If you’re the kind of aquarist that likes the obscure, hard to come by species, then it’s a geographic gamble whether or not your local shop is able to stock them. Plus there are those hobbyists that are unable to get out and about. They may have disability, or a lack of transport – or like me they may be bikers and reluctant to put fish in a pannier or rucksack for long journeys. For a whole subsection of hobbyists, there’s suddenly a way to acquire fish, and surely that can’t be a bad thing, right? Either way, I’m keen to hear views on this. I’d like to hear the problems that retailers face – is it hard to vet customers from online purchases? Are you a retailer who’s losing out to delivered sales from competition? I want as many views as possible, so we can draw up a clearer image of just where the trade is headed. If you’re a purchaser, too, then I want to know any experiences you’ve had, good or bad, from buying fish from far away. As a closing note, I hasten to add that I don’t think this element of the trade is going away in a hurry. We all live increasingly busy lives, and as a service, delivered fish fits in with many of our day-to-day plans. Here, the aquatics trade is no different from other elements of retail, where sales have gradually migrated to an online or telephone platform.